How long have you been on Nantucket? "I was born and raised here, and I went through public school here. I went off to college in Boston, where I studied as an undergrad and grad student. I came back right after grad school and got a job. I've been back for a year and a half." What did you study, and where? "I went to Wheelock College, where I studied Elementary Education, and Psychology as an undergrad, and then Special Education in grad school." 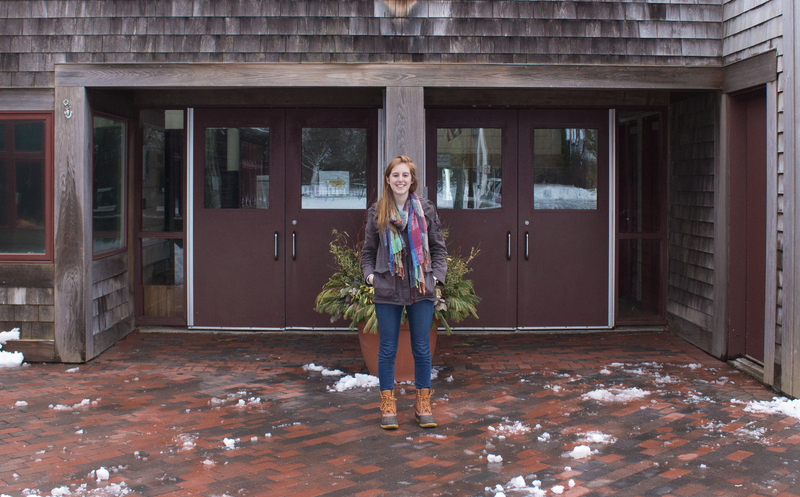 "At the Nantucket Elementary School, as a fourth grade teacher. It's super fun! My old 4th grade teacher is right next door to me. It's crazy." That must take incredible patience. Eighth graders are 8, turning 9 right? "They're 9 turning 10. They're as big as me." What's the biggest challenge about teaching kids at that age? "Believe it or not, half my class is already very mature. They have drama, and cliques... stuff like that going on, and then the other half is still very young, and remind me of what I was like when I was a 9 year old. It's kind of hard handling the different girl drama and bullying that's going on. The social-emotional piece of it can be really challenging. They've also all got phones, they're all on Instagram... they're definitely a lot more aware in a way that I wasn't when I was a kid." What's the best part about teaching kids that young? "They bounce back so quick. So when there are issues that require some behavior management, they're very quick to turn it around. The next day is just a fresh slate. And they also love you, as a teacher. They're so happy... they're still at that age where they're excited to be at school; I don't get the attitude about academics or anything like that. I'll say, "We're gonna learn about rocks!" And they'll be like "YEAH!" What inspired you to start teaching? "My sister has special needs; she's older than me, so I've always had her in my life. I think, through growing up and trying to show her and teach her things, she taught me patience in return. I learned about trying different approaches to situations. I want to find a way to engage every student, and then commit to that engagement, and get them to commit to it as well." What would you say is the Nantucket Public Schools' strongest asset? "It's a very supportive, close-knit environment. Everyone communicates very well. If I'm concerned about a student, I can email their teacher from last year, or the vice principal, or a counselor for example... There are a lot of different people to go to. There are even programs where we have a team of people help each other come up with strategies for teaching. Everyone is very accessible. Any advice you'd like to give to readers? "Try not to take things too seriously. Myself, and a lot of people today, get so wrapped up in the negativity. Sometimes you need to step back and take a look at the big picture, and say to yourself, "Is this a big deal or not?"